Situated in the Phuoc My area, Hana Hotel Da Nang is the perfect place to experience Da Nang and its surroundings. Set 2 km from the excitement of the city, this 3-star property commands an excellent location and provides access to the city's biggest attractions. With its convenient location, the property offers easy access to the city's must-see destinations. 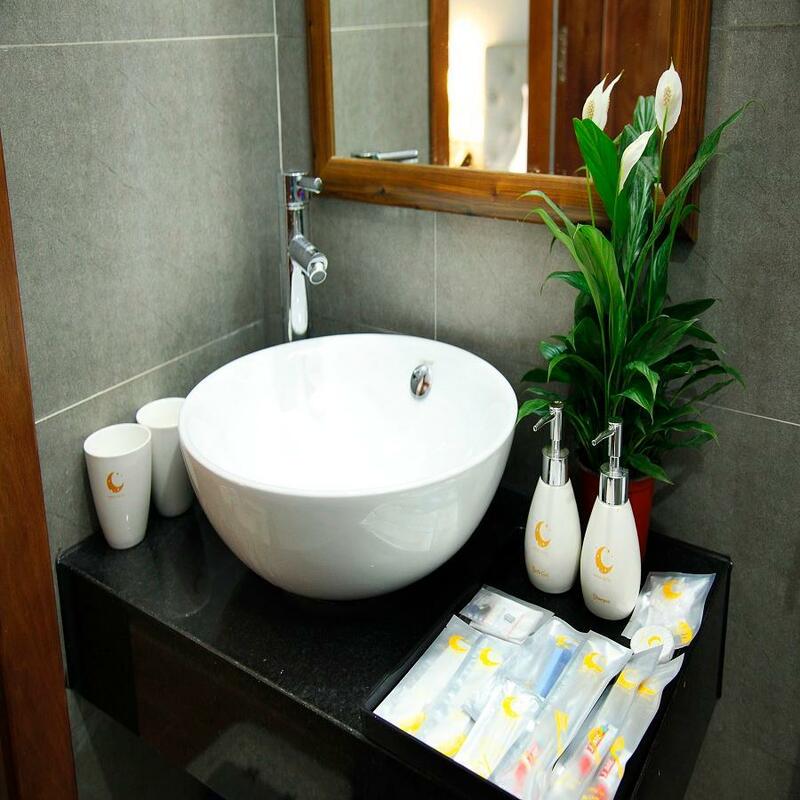 Hana Hotel Da Nang offers many facilities to enrich your stay in Da Nang. The property offers access to a vast array of services, including free Wi-Fi in all rooms, 24-hour front desk, car park, elevator, car park free of charge. Guests can choose from 18 rooms, all of which exude an atmosphere of total peace and harmony. The property's host of recreational offerings ensures you have plenty to do during your stay. When you are looking for comfortable and convenient accommodation in Da Nang, make Hana Hotel Da Nang your home away from home. Staff were friendly enough to try their best to help you out. Room is not sound proof can heard voice from outside. Night is quiet enough. Location is a bit far from city. Need to cross bridge. Walk to beach is not far. Basic unit where you can sleep. There is smell when first in room, I think is because room have no windows. Air conditioner is great. Drinking bottle water is chargeable for 10000 d per bottle. Bed are soft, blanket is okay not perfect. Pillow is soft. Hair dryer is included. Wall plug is two flat pin type. Daily cleaning included. Everything was fine.